Sixteen-year-old Mattie Gokey has a word for everything, and big dreams but little hope of seeing them come true. She collects words, stores them up as a way of fending off the hard truths of her life, the truths that she can't write down in stories. The fresh pain of her mother's death. The burden of raising her sisters while her father struggles over his brokeback farm. The mad welter of feelings Mattie has for handsome but dull Royal Loomis, who says he wants to marry her. And the secret dreams that keep her going--visions of finishing high school, going to college in New York City, becoming a writer. Desperate for money, she takes a job at the Glenmore, where hotel guest Grace Brown entrusts her with the task of burning a secret bundle of letters. 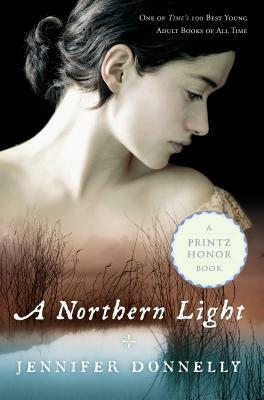 But when Grace's drowned body is fished from Big Moose Lake, Mattie discovers that the letters could reveal the grim truth behind a murder.Set in 1906 in the Adirondack Mountains, against the backdrop of the murder that inspired Theodore Dreiser's An American Tragedy, this Printz Honor-winning coming-of-age novel effortlessly weaves romance, history, and a murder mystery into something moving, and real, and wholly original. Jennifer Donnelly is the author of eleven novels including the Waterfire Saga, The Tea Rose series, Beauty and the Beast: Lost in a Book, and A Northern Light. She grew up in New York State, in Lewis and Westchester counties, and attended the University of Rochester where she majored in English Literature and European History. "Jennifer Donnelly has populated her first young-adult novel with a community of distinctive characters who ring rich and true."